Photo credit: Louis-Marie Preau — read below for the incredible story of how this photo was captured. 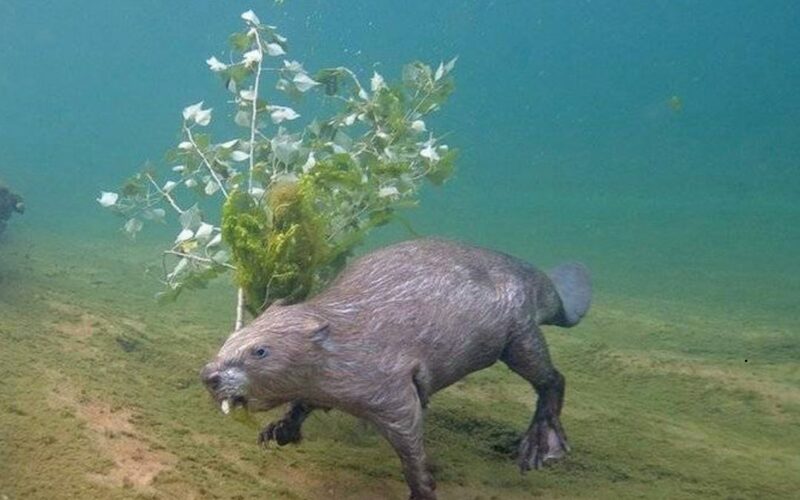 Beavers are remarkable creatures. By studying the habits of their lives, we can learn how to be better humans. Their wisdom can guide us on how to “fight” with honor; how to be environmental stewards; how to work hard and play hard; and how to show fierce dedication to family. Practically from the moment I moved to Apotheosis Farm, I began a love affair with Castor Canadensis, the North American Beaver — though our first meeting was one that would scare the daylight out of me. I went for an early-evening kayak on our creek and was thrilled to see a large beaver swimming alongside me. Occasionally, he would raise his tail and smack it on the water’s surface with a huge force of strength. Being new to farm life and the creatures I would come to love here, I had no idea at the time that this was a warning sign from the beaver who was sent from the lodge to patrol and keep predators at bay. I thought it was a cute beaver playing water tricks for me. I got out my iPhone to take a couple pictures but the beaver retreated deep under the water’s surface. It was eerily quiet for a few moments and something felt a bit ominous so I zipped my phone back in my pocket and began to paddle again. Within a flash, I was screaming bloody murder as a beaver had ramrodded the front of my kayak with his body and was on top of my vessel. My curdling voice sent the rodent scurrying back in the water, but not before he had successfully encouraged me to quickly paddle away from his lodge and head back home. I was within earshot of the farm when my wife, Deborah, heard me scream. She called out to make sure I was okay. I was somewhere between laughing, crying, and in sheer disbelief when I signaled back to her that I was fine but would have one hell of story to tell her. When I got home that night, I devoured every bit of information I could find on the internet about my new favorite farm animal. Between my research, leisure reading, and personal observations of beaver life on the farm, I began to piece together a framework of the many ways that Castor Canadensis was teaching me how to be a better human. 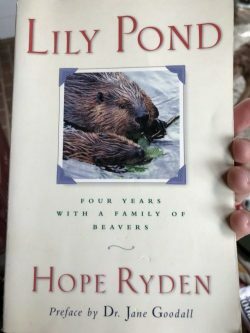 In addition to my observation of beavers in nature around the farm, I devoured this amazing book that gave me tremendous insight into my ingenious friends. The beaver is also a dedicated recycler. There is almost nothing the beaver won’t use from a tree it has felled. First, they eat the delicious branches from the crown. The whittled bits of sticks left from their meals are used as the building blocks of their dams. They will layer over the tree trunks and upright sticks with a mud containing smaller sticks, branches, and decayed leaves. You already know the term “busy beaver.” It’s a well-earned title for our hard-working friends. However, we need to be reminded that life is not — and should not — be all work, all the time. Beavers stay focused on keeping their dams free from water leaks and work like mad to repair any damages to sustain the strength of the dam and the safety of its lodge. A community of beavers must also be dedicated to storing enough food for the winter months. These are no small tasks. However, any observer of the beaver will find them readily at play in myriad ways. Their swimming games are the most hilarious. New baby kits will snuggle their yearling siblings and porpoise around them — diving under bellies, climbing onto backs and tails and generally hitching a ride any way they can. But it’s not just the young ones that play. Beavers display a youthful desire to play, relax, and have fun at all stages of life. Castor Canadensis creates beautiful and strong family bonds. They are one of the few mammal species who are monogamous and mate for life. The yearlings take it upon themselves to actively care for, supervise, train, and mentor the baby kits. The fathers are as involved with the rearing of the babies as the mother is. The family shares close quarters in the dens of their small lodges and maintain peace and tranquility all winter long. When the season turns and it’s time to reemerge, they can be seen playing, working, resting, eating and swimming with each other in beautiful harmony. That’s not to say there isn’t the occasional sibling rivalry over a good looking branch, but as we have already learned, at most, it might escalate into a non-threatening shoving match to determine who gets the prize. I’m not the only one that would do just about anything for the chance to observe a beaver in action. It turns out, these magical creatures have quite the fan club. 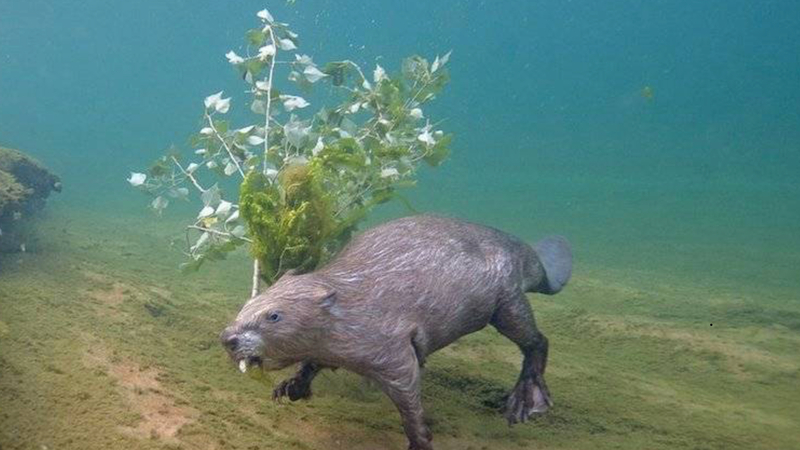 My dedication to Castor Canadensis cannot hold a candle to the work of French photographer Louis-Marie Preau who spent FOUR YEARS patiently waiting for 2-3 hours each night on the bottom of a riverbed with snorkling gear and weights to hold him down so that he might have the opportunity to photograph a beaver bringing home a branch underwater. He finally captured this amazing shot in May of 2017. Living on the farm, I have the most amazing opportunity to see the wisdom of nature at work every day and the lessons it wishes to teach, if we are present to the experience. Sadly, sometimes these lessons are how to say goodbye with dignity and honor. 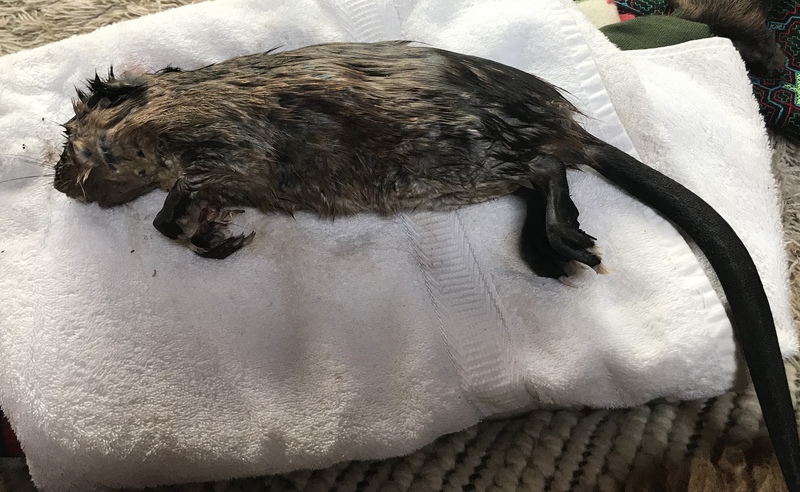 This weekend, one of our dogs came across a dead beaver kit on our regular, twice-daily walk in the woods. I’m not sure where she found him, but it appears the little fella might have drowned (as baby kits are known to do sometimes). The sight of this little one — his tail barely wide enough to hold him up; so much more life he had left to grow into himself — made me cry for his loss and knowing how upset his family is. However, at least this kit died in nature and not at the hand of human error. Many of our beavers get killed on Route 213 across from Urieville Lake at the dam (DRIVERS, PLEASE SLOW DOWN — ESPECIALLY IN WILDLIFE AREAS ATTACHED TO WATERWAYS!). 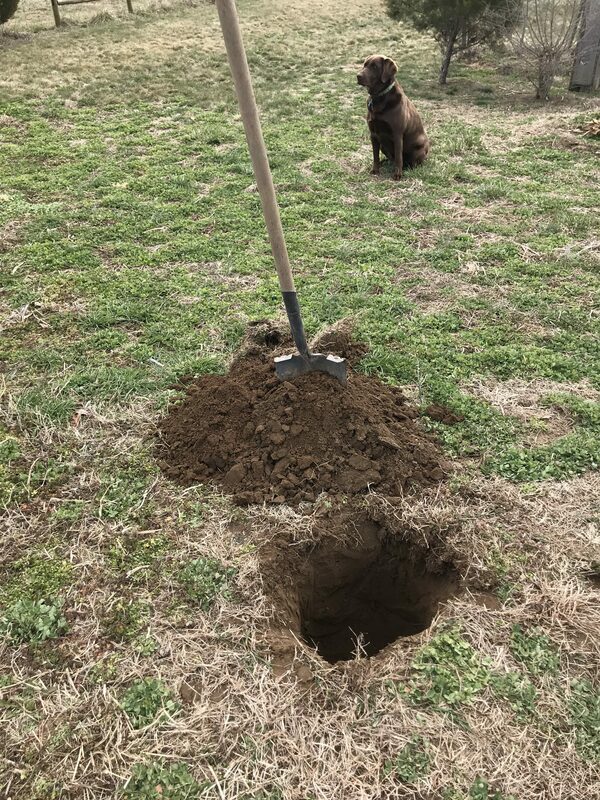 I gave this kit the same honorable burial I have given more than a handful of other elder beavers that have also passed on our land. I washed him of the mud and debris. I placed him on a towel to dry and prayed for him. 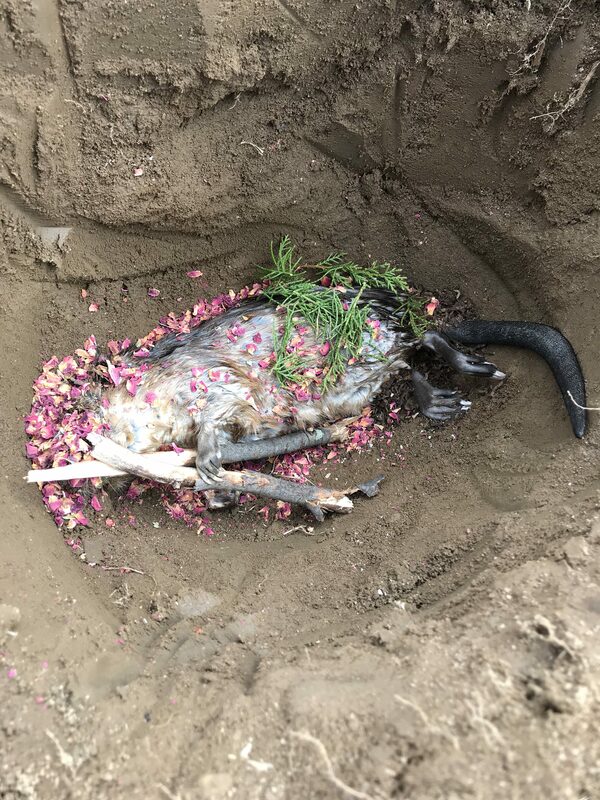 I dug a grave and prepared it with sage, rose petals, and tobacco. I laid him to rest with cedar branches and sticks to build a lodge in heaven.